I’m not sure exactly when 229 Grand Street was built in the late 19th century. 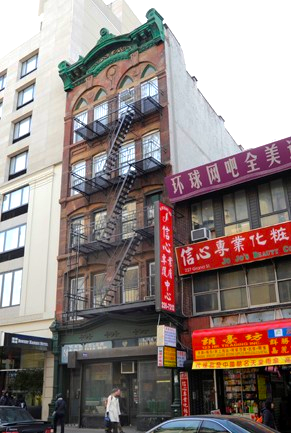 But as far as Lower East Side walk-ups go, it’s a cut above its neighbors. That’s mainly because of the Gothic-inspired upper windows and the decorative accents on the ground-floor storefront. And the checkerboard pattern at the entrance to the building—another wonderful old-school touch. 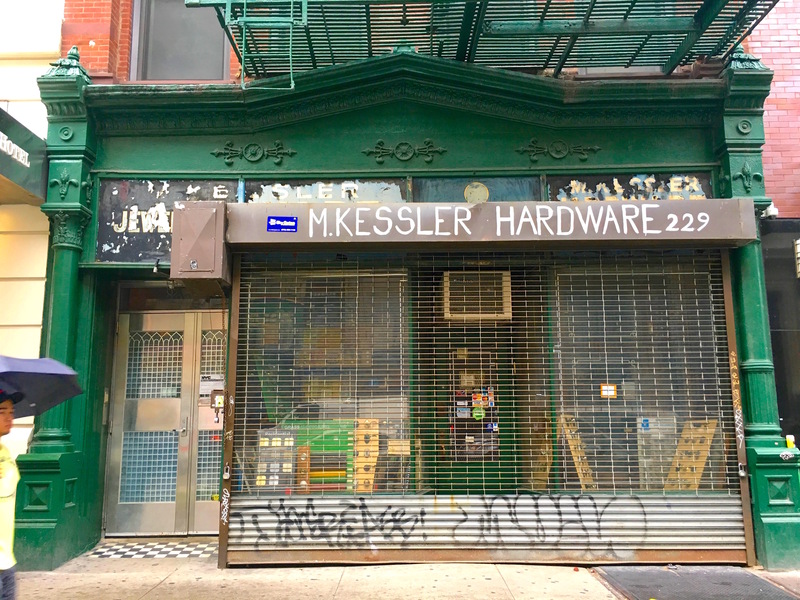 The shop has been there for so long, you can even see the Kessler name in flaked, faded paint on the window behind the more prominent hand-painted “M. Kessler Hardware” sign. 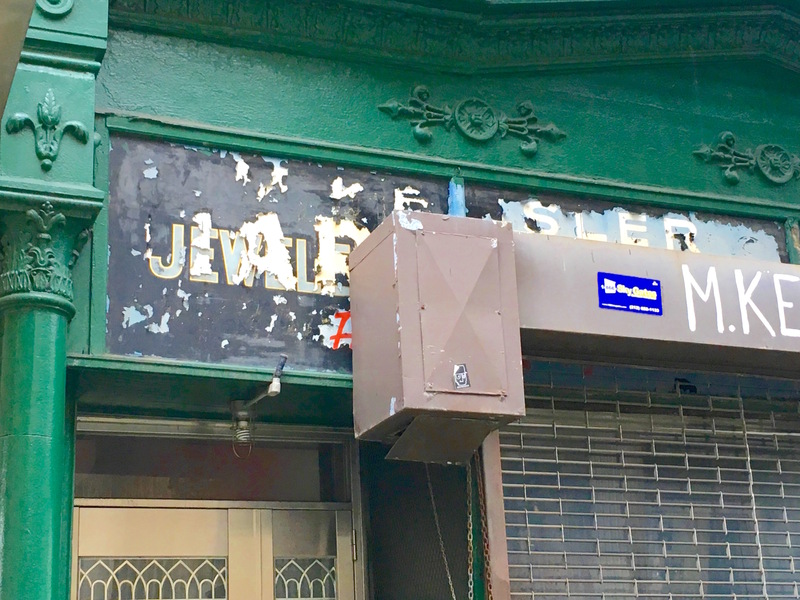 Did Kessler share the space with a jeweler or jewelry store—or did a jeweler set up shop here between Elizabeth Street and the Bowery before Kessler Hardware came along? A clue emerges in the New York Times archive. A January 1927 story describes the trial of a man accused of a “gem holdup” at a pawnshop at 229 Grand Street; $47,000 in jewelry was stolen at gunpoint from the Schwartz Brothers pawnbrokers. With a haul like that, it sounds like this pawnshop had an extensive jewelry collection and may have advertised that on the store window.